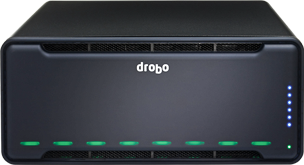 The Gold and Platinum edition Drobos are everything you would expect in a Drobo and more. These special editions are created to provide performance and peace of mind for power users. Focus on what you do best and let Drobo manage all of your storage needs, including extended warranty and drive recovery services. The Drobo 5N2 Gold and Platinum Editions are ideal for homes and small businesses. 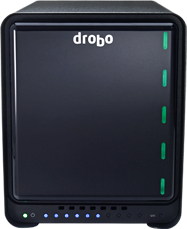 They are built with Drobo 5N2’s unparalleled user experience for data sharing, secure backup, remote access and data recovery solutions. The Drobo 5D3 Gold and Platinum Editions are built on the strengths of the Drobo 5D3 to deliver lightning fast ThunderboltTM 3 technology. 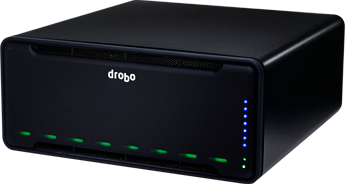 Drobo 5D3 is the ultimate storage solution for media professionals, content creators and small businesses. The Drobo 5D3 and 5N2 Gold Editions optimize performance with an included 128GB mSATA SSD for the Drobo Accelerator Bay. Frequently used files can be accessed up to 30% faster by implementing the Hot Data Cache technology. Every Gold Edition Drobo includes 5 years of premium DroboCare warranty with product registration. The extended 5–year DroboCare warranty includes hardware replacement, technical support and migration assistance. The Drobo 5D3 and 5N2 Platinum Editions include both the mSATA SSD for a performance boost and the extended 5-year DroboCare warranty. Additionally, we have partnered with DriveSavers for peace of mind in case of data loss from your hard drives. Data loss can be due to mechanical, water and fire damage, file corruption and more. DriveSavers has the highest success rate in the industry and this exclusive plan covers one instance during a 5-year period, potentially saving you thousands of dollars in the case of a failed disk pack.